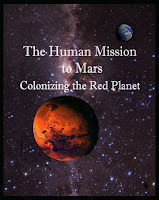 The first human mission to Mars might be an orbital rather than a landing mission. A surface stay of a few weeks would allow for proof-of-concept activities such as verification of advanced spacesuit function; demonstration of an ability to traverse presumably with some sort of vehicle; characterization of the environment and, in particular, of the soil to determine its suitability for ISRU purposes, its threat to equipment or potential toxicity. Limited scientific investigations could be planned. However, de-conditioning might restrict the ability of the crew to perform efficiently for a significant portion of a several-weeks long stay. The longer surface mission would enable significant science, but also expose the crew to greater risk if systems don’t function as planned. Potential science objectives have been documented in several different studies (e.g., Mars Science Program Synthesis Group, 2003). There are rational arguments in support of both the short and the long duration surface stay on the first landing. I could envision the crew advocating for the development of a set of mission extension "go, no-go criteria" which, if met at the end of a short stay, would authorize the continuation of the surface mission for the long duration.